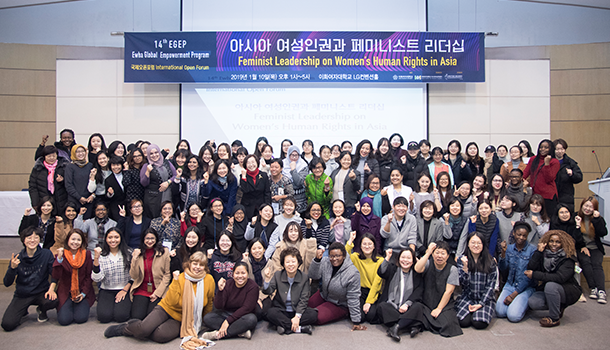 The 14th Ewha Global Empowerment Program (EGEP) was held from January 6 to 13, 2019, which was prepared to strengthen the leadership of female talents from Asian and African countries in non-governmental and public sectors. This time the EGEP launched “Action Research Workshop,” in which education, empowerment, participation, and advocatory activities were focused and relevant reports were presented, which containing analyses on the successful cases and actionable strategies from recent remarkable women’s movements and gender projects in different countries and regions. 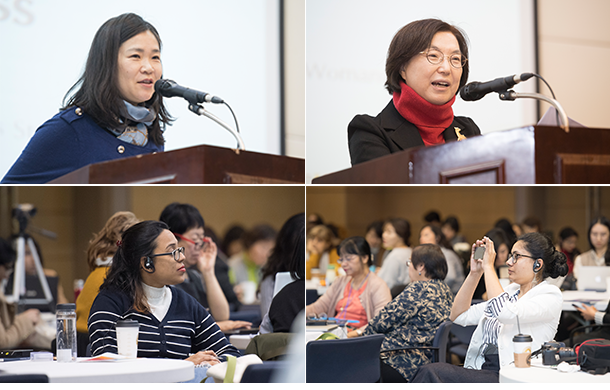 In addition, an international open forum was held under the theme of “Feminist Leadership on Women’s Human Rights in Asia” at the LG Convention Hall in the International Education Building on Thursday, January 10, with about 150 women scholars, activists, and experts at home and abroad having extensive discussions. The forum was heating up in the following session, where Women’s Studies researchers from different countries including South Korea, Malaysia, Myanmar, the Philippines, Indonesia, and Laos analyzed the concepts and issues of women’s human rights and had an in-depth discussion about the development of feminist leadership to enhance women’s human rights through research on Women’s Studies, education, and women’s movements in each country.